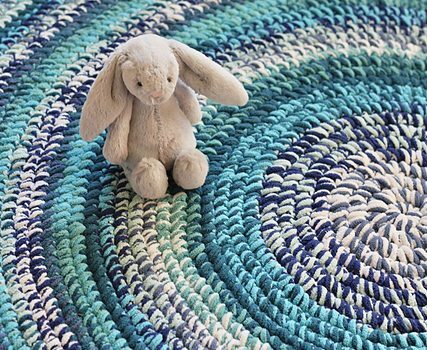 Today’s featured round crochet rug pattern is beautiful with lovely colors and a great design! 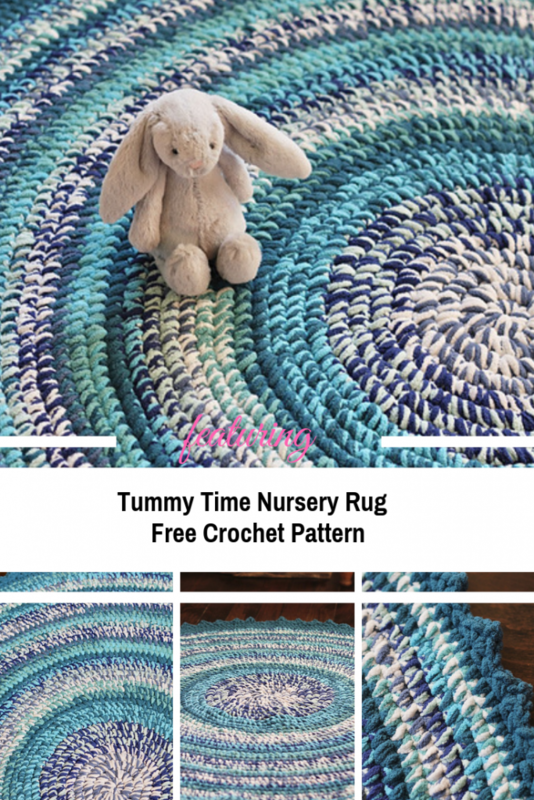 Tummy Time Nursery Rug by Brooke Cassell has all the features needed to create the perfect rug for a baby’s room: it is a flat circle with no holes and it is soft and squishy. This rug free crochet pattern also includes tips on how you to make your rug the desired size and laying perfectly flat. Thanks to Brooke Cassell for the article inspiration and featured image.